Chrome Clean Side Separator | McNally Electronics, Inc. This is for the Clean Side Separator ONLY. No hose will come with purchase or adaptors. With a direct injection engine, this contributes to the intake valve coking issues all direct injection engines experience. 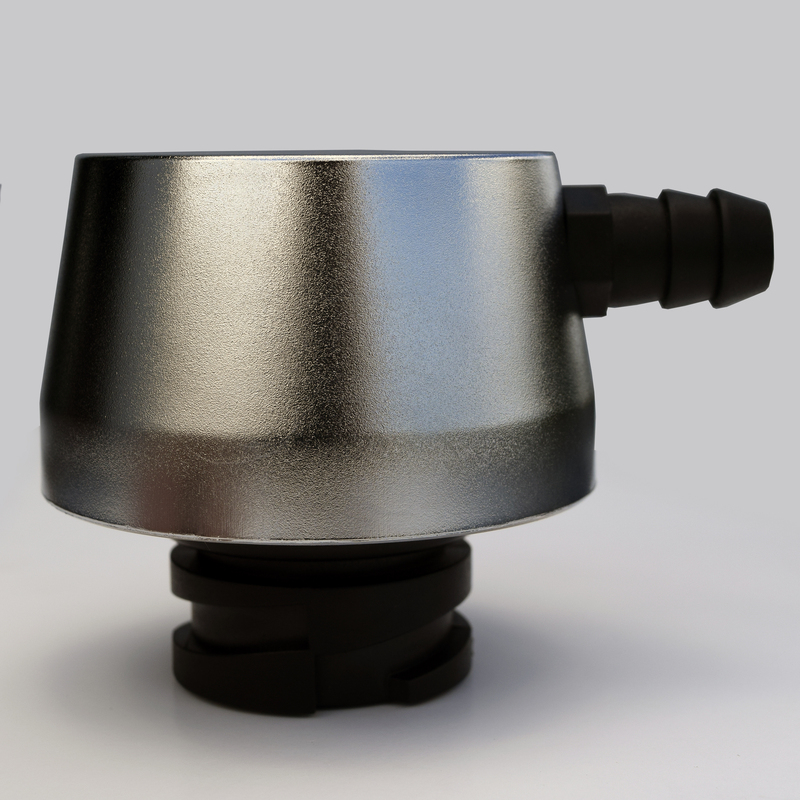 The Clean Side Separators are specially designed for use with Oil Catch Cans to trap and remove oil vapors from the clean side of the oil separating system while retaining 100% MAF metered air. The Clean-side separator solution addresses that small amount of oil vapor that enters the intake air charge upstream of the throttle body during wide open throttle operation when the intake manifold vacuum is not present. 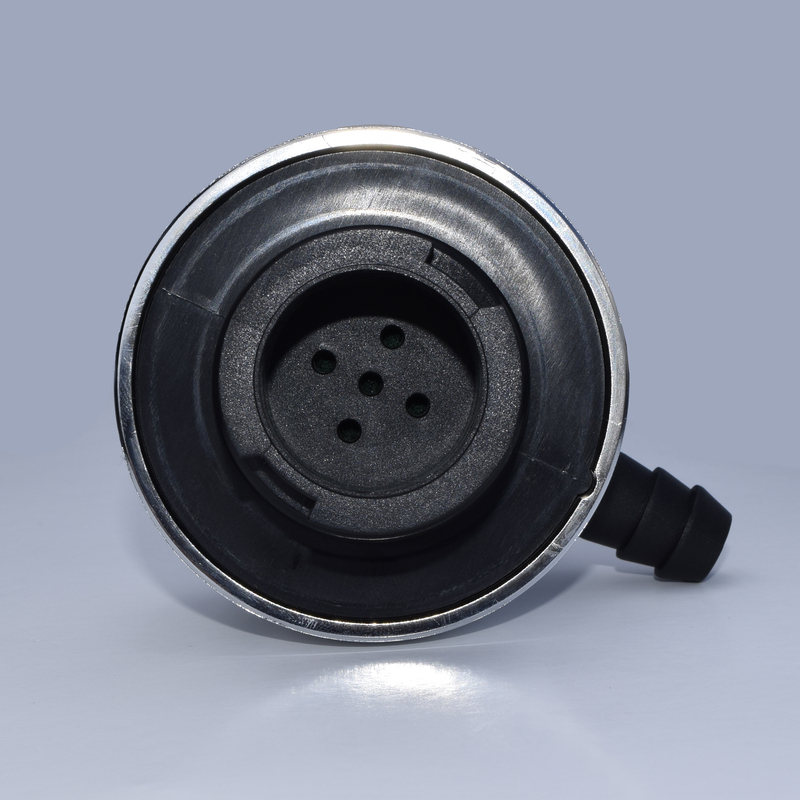 The Clean-side solution allows 100% MAF metered air entry while trapping the oil during wide open throttle operation and allowing it to return back into the valve cover as soon as the throttle is lifted. Simply installs as a direct replacement for your stock Oil Fill Cap allowing you to delete and replace the stock OEM hose. 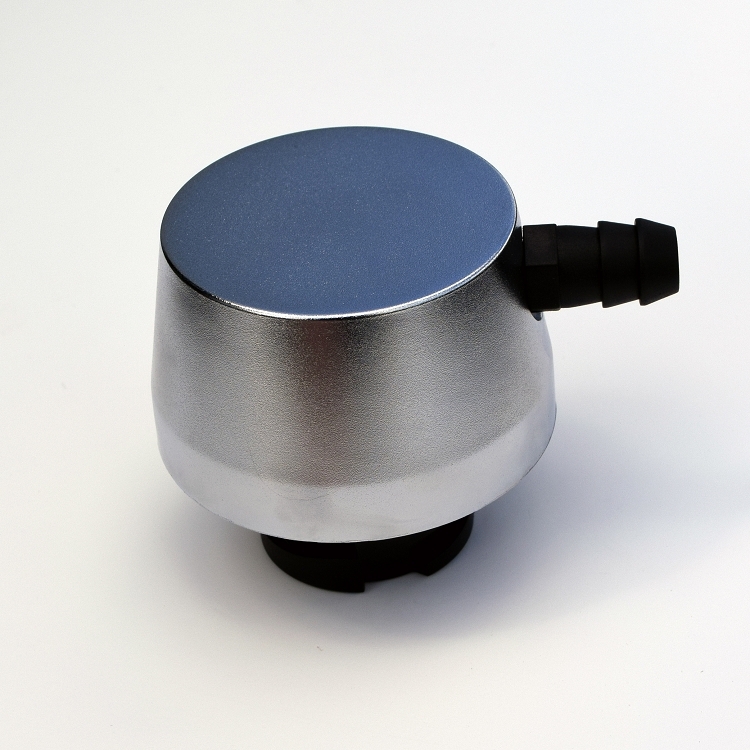 This is an add on replacement for your stock Oil Fill Cap. Although approximately 90-95% of the oil ingestion via the intake air charge enters via the "Dirty" or "foul" side of the PCV system, the other 5-10% enter via back flow through the factory "clean" or "fresh" side tube. This occurs mainly when accelerating or at wide open throttle when intake manifold vacuum drops to zero and crankcase pressure is allowed to build. This pressure will seek the path of least resistance, which is backwards flowing into the intake air bridge assembly bringing in oil mist and other contaminants into the intake air charge. 2001; MCNALLY Oil Filler Cap; W/SOHC Eng. Great Addition to help blowby on my supercharged mustang 5.0. Works Great!